In addition to making homemade ice cream in an empty coffee can and ziplock freezer bag, you can also make your own ice cream very quickly by using dry ice. First, place dry ice in a paper bag and smash it by rolling over the bag with a rolling pin, or by breaking it into small pieces with a hammer or mallet. Mix together the other ingredients in a mixing bowl, and then slowly mix in the dry ice pieces until desired consistency is reached. 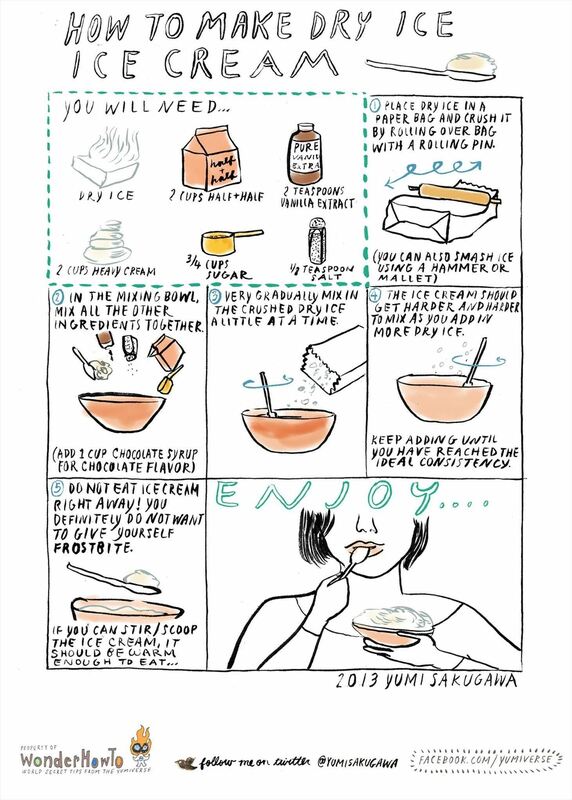 Once you have mixed all the ingredients together, make sure your dry-ice ice cream is warm enough to eat. Eating your own homemade ice cream is no fun if you have frostbite on your tongue.